Happy St. Patrick's Day everyone! This was the card I made using my Cricut Explore. I made several of these to send out. 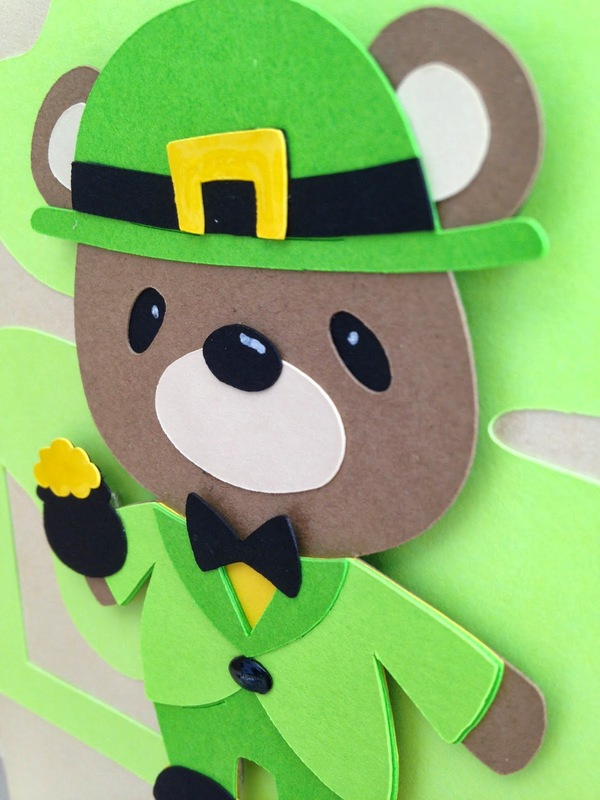 I love this little bear's outfit. He is looking pretty handsome for the festivities! 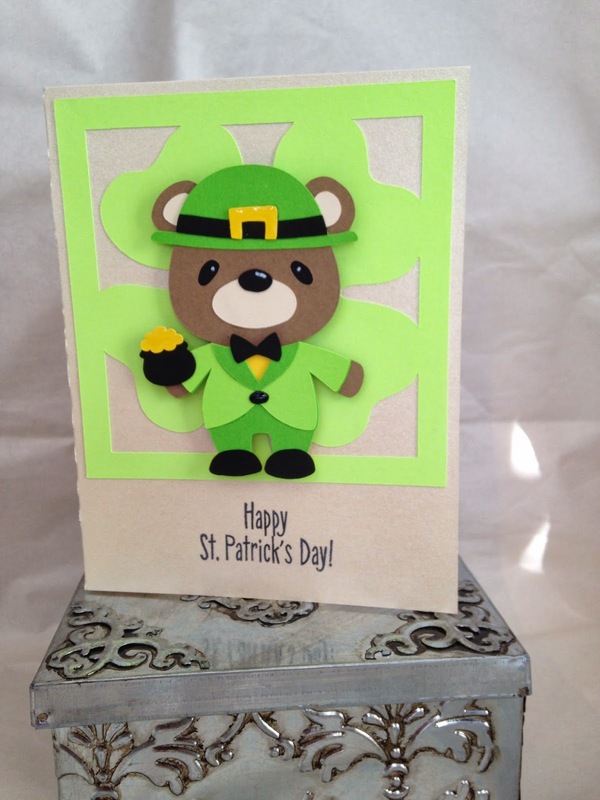 The bear is cut from the Teddy Bear Parade cartridge and the shamrock in the background is from Designer's Calendar. The sentiment stamp is from Hero Arts. I am in LOVE... again!! !